A small, light, simple and safe ski carrier that easily slips into a pocket. 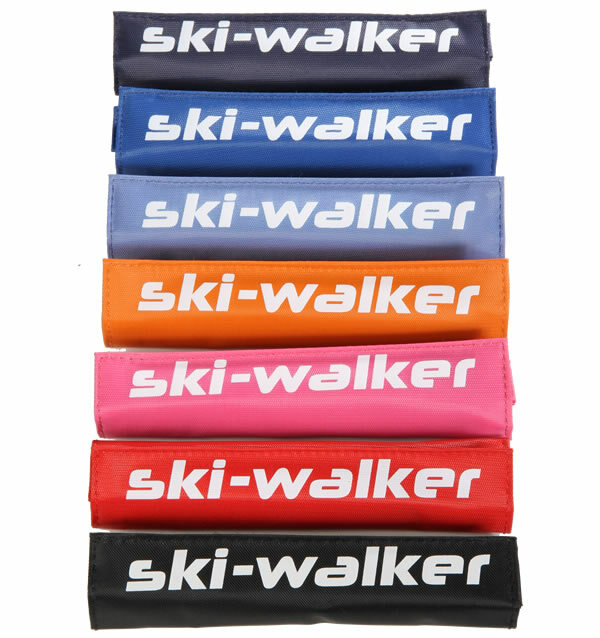 Made of material (should you fall), Ski-Walker is the perfect solution for carrying skis. 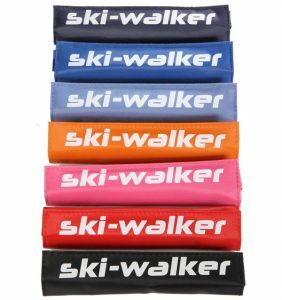 To order your Ski-Walker simply select a colour from the drop down menu below, select how many you would like, then click the ‘add to cart’ button. A simple ‘click-on’ handle to carry skis. SMALL, LIGHT, SIMPLE & SAFE. Ski-Walker attaches to skis in under 10 seconds by means of a single buckle. Skis are carried in the best position (should one slip) and which lowers the centre of gravity. Simple enough for children to use, it even encourages them to carry their own skis. Initial adjustment needed. Weight: 32gms.